What Do K Ratings Mean for Your Fence? 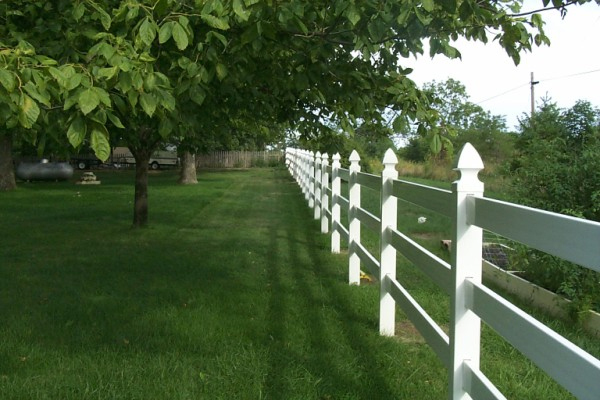 We offer fences with K Ratings, but what do they mean? One of the biggest reasons why people invest in fences is for security purposes. For commercial businesses, or organizations that need extra security such as a military base or a power plant, a fence that can withstand a vehicular crash is essential to the organization’s security. Especially in these post 9/11 times, where acts of terrorism have become far more common, secure perimeters are all the more important. Fortunately, the Department of State has developed a rating system to help prospective buyers determine just how much their new fence can withstand. K Ratings specifically measure how well a barrier such as a fence, gate, or bollard can stop an incoming vehicle. The ratings are dependent on the vehicle’s weight and speed as well, with a standard vehicle weighing in at 15,000 pounds. The intention of the K Ratings is to assess how strong a fence is in order to prevent a crashing vehicle from penetrating a barrier more than 36 inches beyond the fence bed. For example: a fence that can withstand a vehicle traveling 30 miles per hour will receive a level K4 rating. However, a fence that can withstand a vehicle traveling 50 miles per hour will receive a level K12 rating. These ratings are useful in helping organizations and companies determine what fence and what provider should be issued a contract. To get certified, barriers and fences must go through extensive testing, which is incurred by the manufacturer and can be included in the pricing of the final product. As a result, the prices of such a fence will often be much higher. K Ratings can also be extended to active barriers such as drop arm barriers, wedge barriers, capture barriers and pop up bollards. However, these all tend to be partnered with enhanced materials and foundations to bolster their strength and ability to withstand any potential crashes. Ultimately, K Ratings help organizations stay safe by providing a standard for anti-terrorism crash barrier protection. What is really nice about these security products is that far from looking like a fortress barrier, these fences and barriers can be made aesthetically pleasing through design and decoration. They can often look as though they are part of the building’s aesthetic without being obvious about their purposes. If you would like to learn more about K Ratings or the type of fences we can provide, give us a call at 703-551-2609. We at Hercules Fence will talk you through your options and we can help you get started. You can also contact us on our website or social media pages. This entry was posted on Monday, April 27th, 2015 at 2:33 pm. Both comments and pings are currently closed.